Professor of Public Health Medicine in the Department of Public Health and Primary Care in the University of Cambridge. Carol is a medically qualified epidemiologist and public health academic. She graduated in medicine from the Royal Free Hospital School of Medicine, University of London and went on to train in general medicine. After gaining membership she moved on to training in epidemiology with a Training Fellowship with the Medical Research Council. The research area for this Fellowship was ageing and dementia. Since the mid eighties her main research area has been longitudinal studies of older people following changes over time in cognition, dementia natural history and associated features with a public health perspective. She is lead principal investigator in the group of MRC CFA Studies which have informed and will continue to inform national policy and scientific understanding of dementia in whole populations. She has been responsible for training programmes in epidemiology and public health for under and postgraduates since the early nineties. 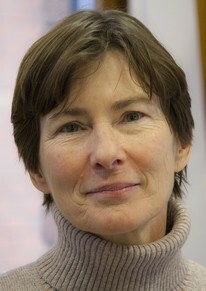 She is Director of the Cambridge Institute of Public Health at the University of Cambridge. CFAS – The Cognitive Function and Ageing Studies are large UK-based longitudinal multicentre studies looking at health and cognitive function in older people. CC75C – The Cambridge City over-75s Cohort Study (CC75C) is a long-term follow-up study of a representative population-based sample of older people which started in 1985 from a survey of over 2,600 men and women aged 75 and above. CamCan – Cam-CAN is a large-scale collaborative research project, launched in October 2010, with substantial funding from the Biotechnology and Biological Sciences Research Council (BBSRC). The Cam-CAN project is using epidemiological, behavioural, and neuroimaging data to understand how individuals can best retain cognitive abilities into old age. Check here for headline findings from across Carol’s portfolio on dementia, cognition and healthy ageing. The Institute’s programmes of work cover End of Life Care (Dr Stephen Barclay), dementia and frailty (Dr Jane Fleming). The Institute hosts the Cambridge team investigating ageing well, alcohol, childhood obesity and the effects of the built environment on health. This programme is co-ordinated by Dr Louise LaFortune.